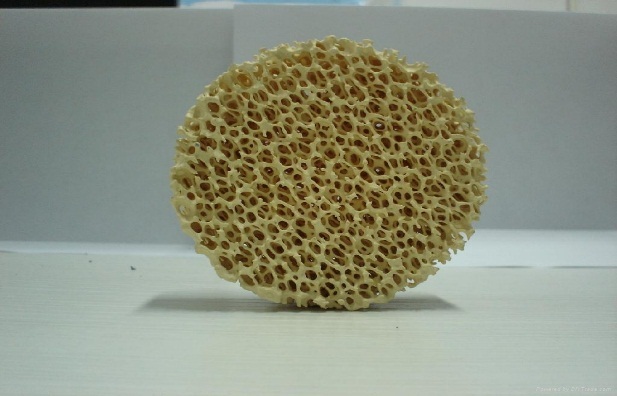 Ceramic foams are three-dimensional frame work with high porosity forming a tortuous system of interconnected cells and channels. Ceramic foams because of their inherent reticulated structure widely used as molten metal filters, catalyst supports, flame arrestors etc. 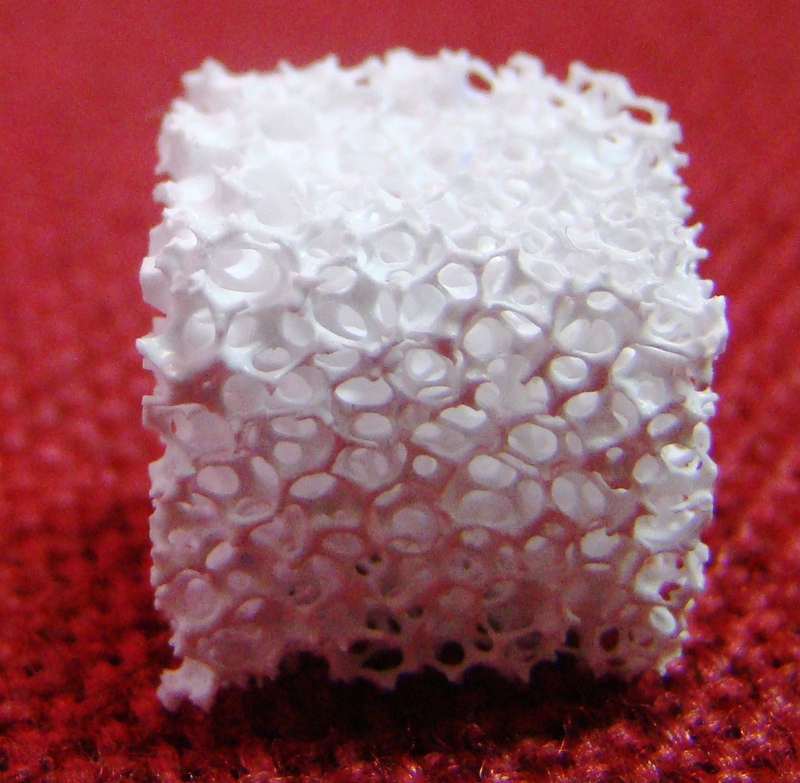 Ceramic reticulated open cell foams are commonly processed by a polymer sponge processing. 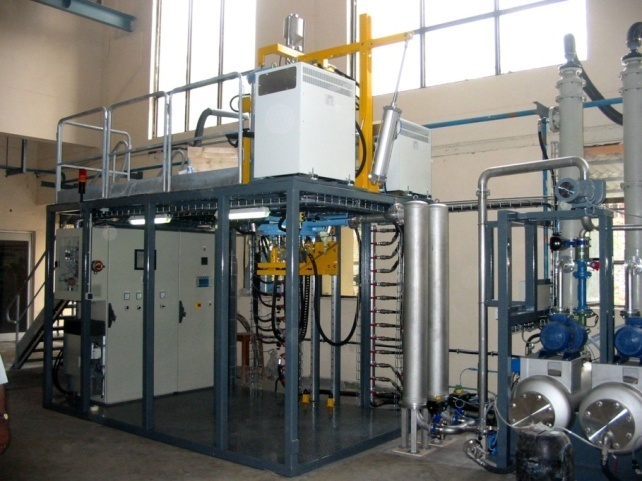 Chemical Vapour Deposition process developed using the reaction between zinc and hydrogen sulphide to produce stoichiometric zinc sulphide (ZnS). A technology of producing complex or simple shaped substrates for the CVD deposition depending on the target requirements is patented. Post processed CVD ZnS samples have shown close to theoretical values with respect to thermal, mechanical and transmission properties. 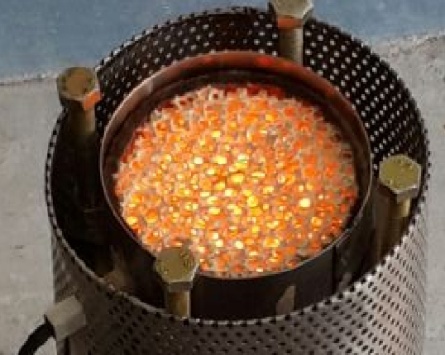 Gel casting process involves solidification of ceramic slurries by the free radical initiated polymerization of a chain forming monomer with a cross linking monomer in presence of a catalyst. Specific advantages such as high solid loading (50-55 vol %), instant solidification (15-60 min) and uniform green microstructure enabling green machining. However, acrylamide based gel casting process suffers from the serious drawback of being toxic as a result of which its use on a wide spread commercial scale has been limited. 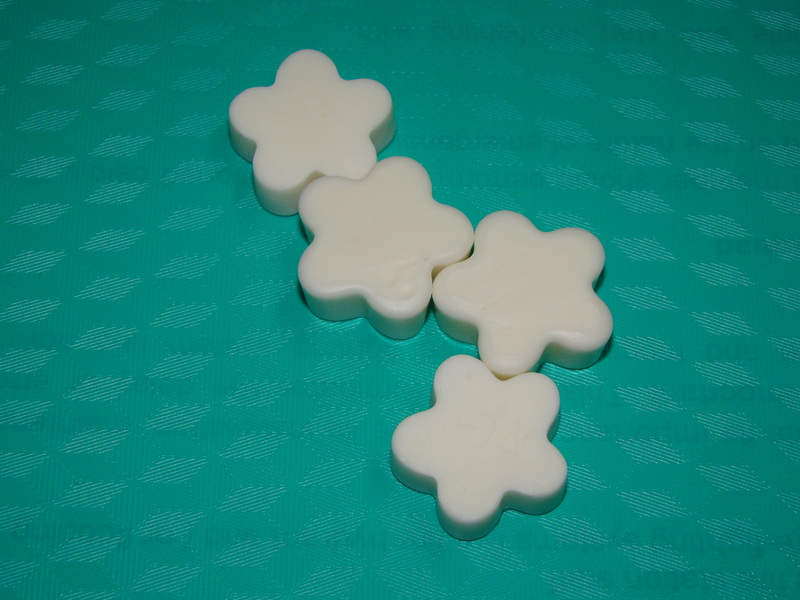 In view of this an environmentally benign nontoxic polymeric such as methyl cellulose, which undergo thermally induced gelation at temperatures in the range of 70-80°C has also experimented for shaping. Ceramic powders encapsulated specially designed metallic can using an encapsulation welder under 10-3 Torr at elevated temperatures. 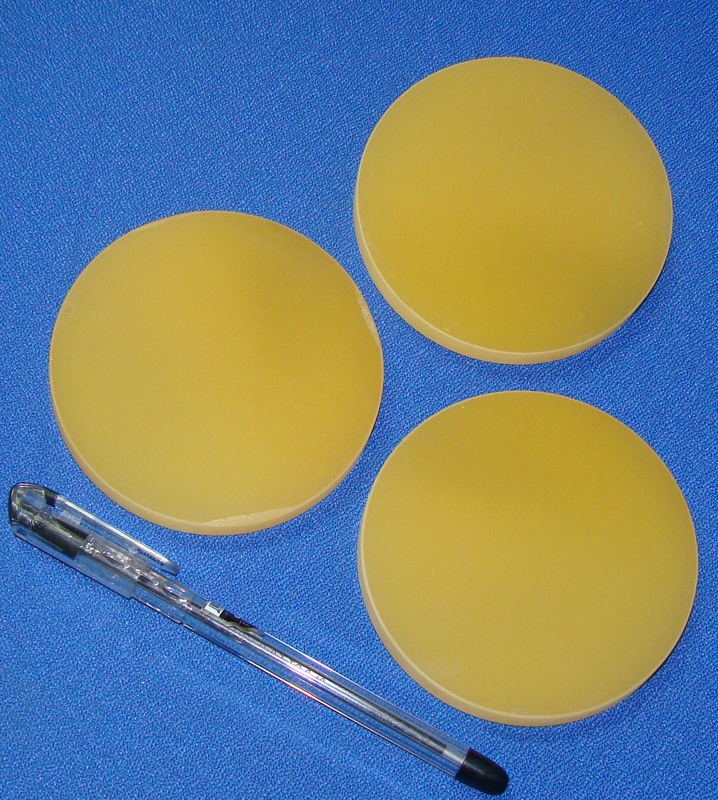 The encapsulated capsule was subjected to direct consolidation by Hot Isostatic Pressing (HIP) at desired temperatures and pressures. Deformed capsule after HIP cycle was machined to release the dense compact. 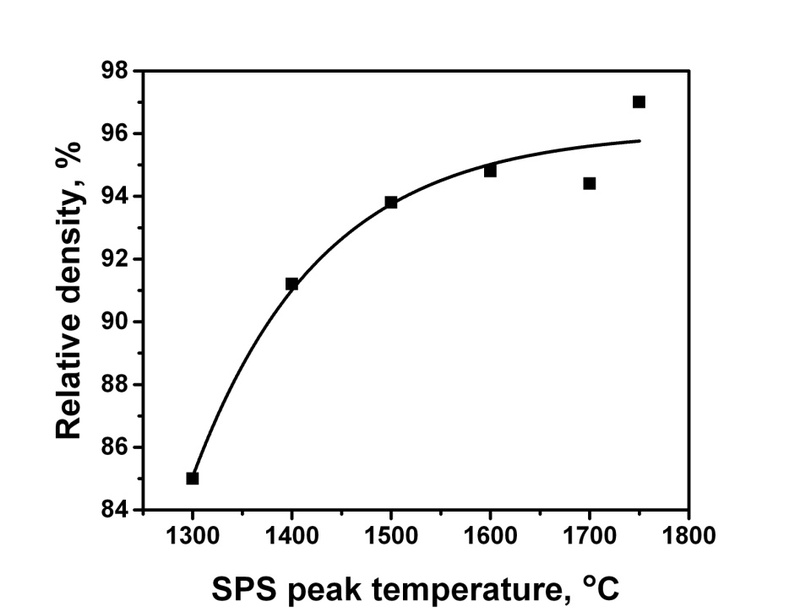 In a typical experiment with alumina ceramics samples was found to attain a density of 3.94 g/cc and a flexural strength of 310 MPa at a relatively low temperature of 1350oC in a single step of HIP consolidation. Vacuum Encapsulation of Sub-μm Alumina Powder and Densification by Direct Consolidation through Hot Isostatic Pressing, International Conference on Advance in Materials and Manufacturing, 8-10 December-2016. Increasing concern on fossil fuel depletion has paved a way for the energy efficient and eco-friendly energy management technologies in various vital sectors. 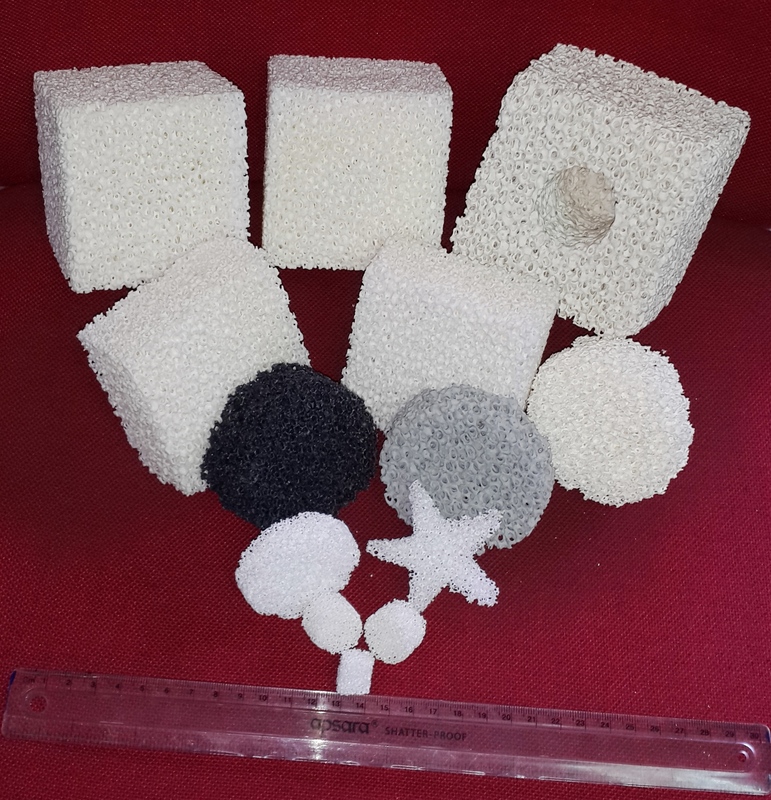 Porous Medium Combustion through reticulated foam structures is considered to be one of the feasible options which got explored extensively in the industrial and domestic applications. A wide variety of ceramic foams are developed and explored for porous burner applications. Transparent ceramics, a new class of advanced functional materials, find diverse applications in strategic and civilian sectors owing to the unique combination of mechanical and transmission properties. 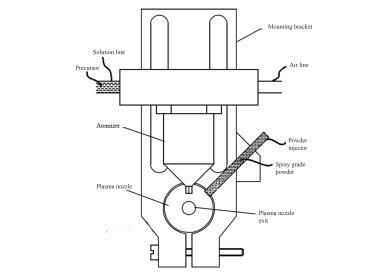 Technological advancements in ceramic powder synthesis, shaping and sintering have made it possible to tailor the microstructural, mechanical and optical property relationships in case of advanced transparent ceramic materials. Transparent ceramic materials are classified broadly as visible, mid wave and long wave infrared regions. 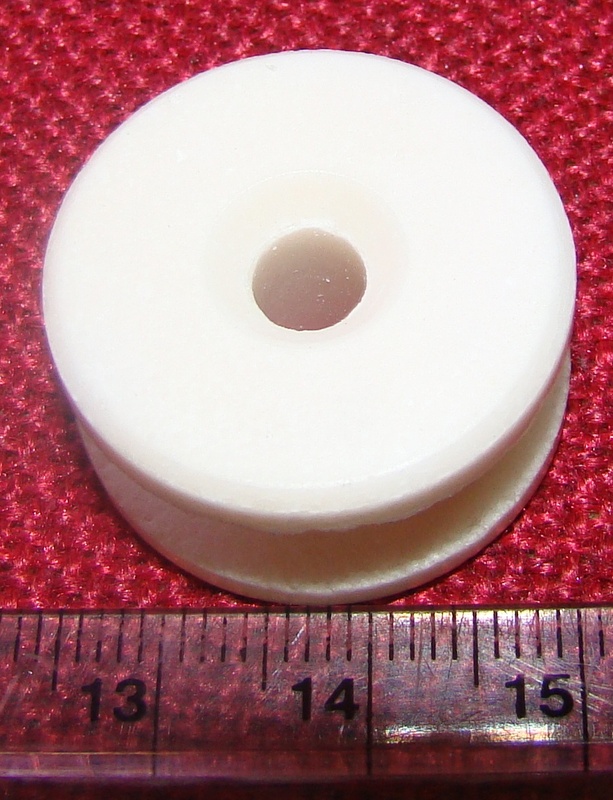 High purity are compaction processed in to alumina spools for high temperature applications. 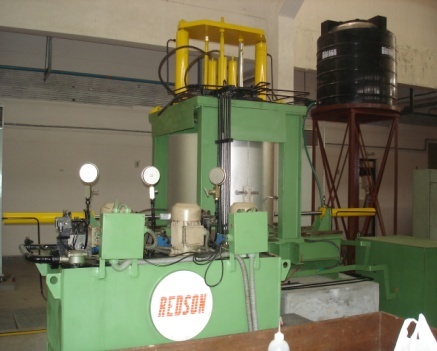 Centre produces spools on a continuous basis as per the orders from In-house and overseas. In recent years, high performance solid propellant has been a great deal of attention in the area of high energy materials research field. Development of a high performance solid propellant will be achieved by using high energy density materials such as metal hydries. Among the metal hydrides, aluminium Hydride, AlH3, commonly known as alane is the most interesting fuels for propulsion, because of its ability to substantially increase the performance of a given system. The typical formation route of alane is through the chemical reaction. It involves high pressure operation and formation other by products like metal halide. For these reasons, our research attempt has been initiated in a more economically and thermodynamically cost effective synthetic and regeneration route to produce alane by electrochemical method. Preliminary single cell studies for alane preparation. 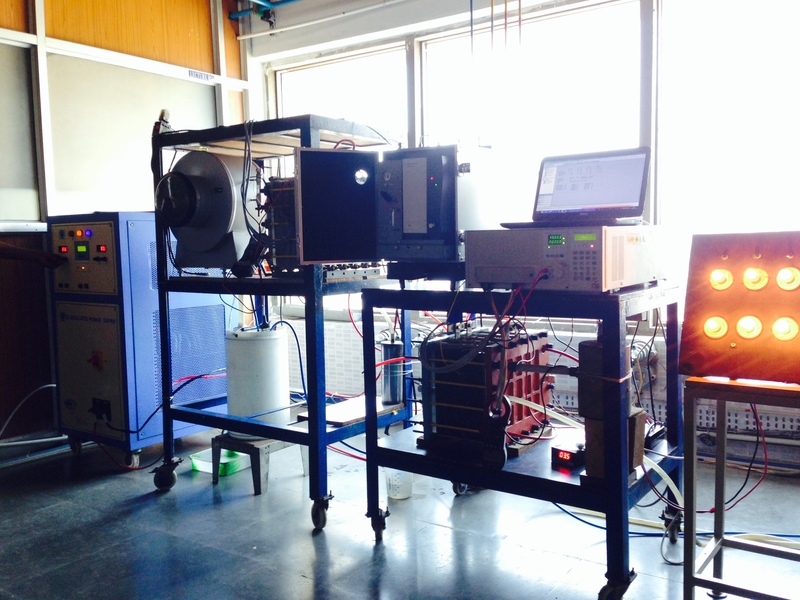 The successful commercialization of Fuel cell technologies requires steady hydrogen supply. Steam Reformation of hydrocarbons and electrolysis of water are commonly available methods to produce hydrogen. However steam reformer works best in higher capacity systems, while the electrolysis requires more energy input for splitting water to hydrogen and oxygen due to its high over potentials. CFCT has now developed a method which combines aspects of both the processes to produce hydrogen from methanol - water mixture. The Centre has developed and demonstrated of a hydrogen generator of 1 Nm3 hydrogen per hour capacity. 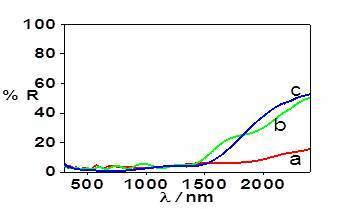 Currently, the development of 2.5 Nm3/hr PEM based ECMR with improved performance and reduced cost is under progress. Energy consumption for Hydrogen production was found to be low, about 1/3rd of water electrolyzer. The hydrogen produced is highly pure and Hydrogen separation steps are not required. ECMR can be integrated with renewable energy sources like wind, solar to store the energy in the form of hydrogen and it can be used in fuel cells. Meteorological Department (hydrogen as a lift gas to fill weather balloons. 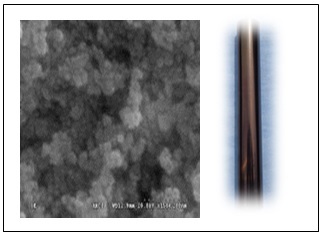 Studies on development of Titanium oxide Nano Tube (TNT) based ePTFE–Nafion–composite membrane for electrochemical methanol reformation, N.Manjula, R.Balaji, K.Ramya, K.S.Dhathathereyan,A.Ramachandraiah Int. J.Hydrogen Energy, 41 2016, 8777- 8784. 3. Fuel cell are considered to be an ideal choice for power generation as the green house gas emission issues are considerably reduced.PEM Fuel cells are ideally suited for decentralized power generation due to their fast start up, modular nature and low start up temperature. The technological challenges include developing high performance fuel cell stacks and BoP components like the power conditioners, thermal management system etc. The successful commercialization of Fuel cell technologies requires steady hydrogen supply and development automated methods for key components fabrication. 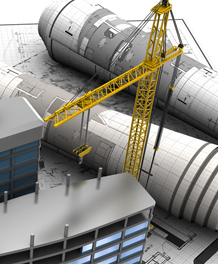 One of the aspects that is proposed to be undertaken is improved manufacturing methods . Rapid prototyping or Additive manufacturing has been considered in this project as the conventional methods of making the fuel cells is lengthy with lot of wastage. Developed Grid Independent fuel cell systems in the range of 1-20kW power. 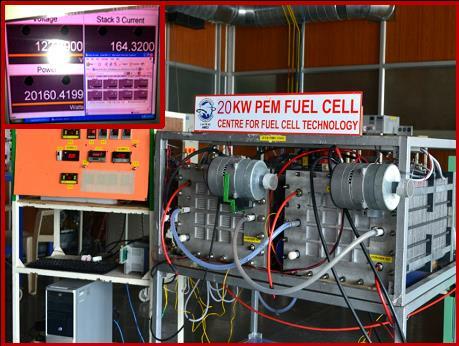 PEM Fuel cells developed have been continuously operated for 500 hrs and intermittently for several thousand hours with stable performance. Suitable control systems for load following cycle, cell monitoring characteristics, power conditioners and thermal management have been developed. As decentralised power pack for homes, industries etc. As back up power for telecom industries. Electrically rechargeable Zinc-air batteries exhibit high specific energy and interesting from an economical and ecological point of view. 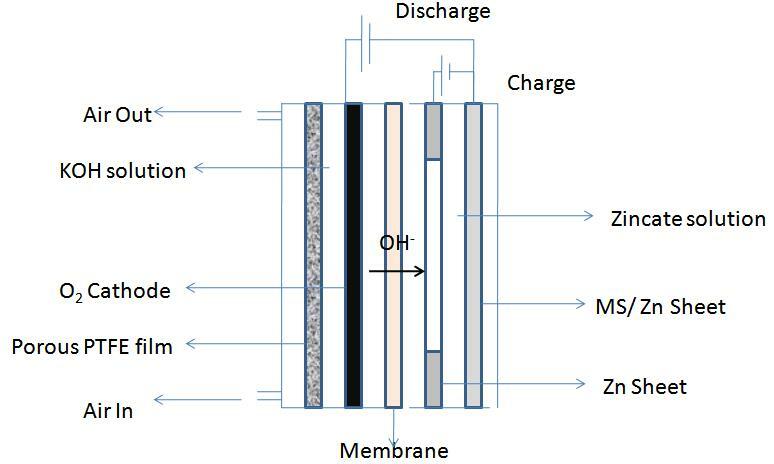 One of the challenges with Zn-Air batteries is to make them rechargeable in aqueous based system. Scientists at CFCT are addressing this issue and have initiated a program to develop rechargeable Zn-air battery and eventually other metal - air batteries. In the first instance, we have developed and demonstrated rechargeable 12 V Zn-Air battery using air breathing electrodes and ionic liquid electrolyte. The cyclic stability studies were also reported. 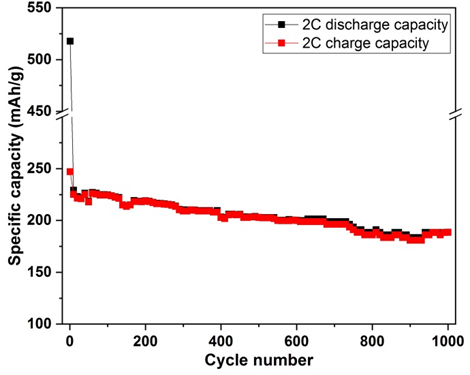 Presently CFCT has initiated work on development of aqueous electrolyte based rechargeable Zinc-air secondary battery and carried out preliminary studies. 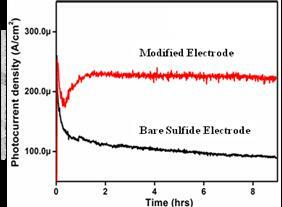 The electrode area of the cell has been scaled up from 5 sq.cm to 30 sq.cm and results shows improved cycle life and capacity of the cell and it has provided the scope for further improvement, which is in progress. Materials are low cost, non-toxic and environmentally friendly. Bifunctional electrocatalyst for oxygen/air electrode N.Sasikala, K.Ramya, K.S.Dhathathreyan Energy Conversion and Management. 77, 2014, 545-549. Ultrafine aluminum powder (UFAP) is commonly used in a wide variety of applications like rocket propellant additives, thermite mixtures, paints and hydrogen generation. The fineness of these powders allow ignition at lower temperature and due to their high surface area, the combustion is complete. Though UFAP can be synthesized by a number of techniques, radio frequency induction plasma (RFIP) offers inherent advantages over other techniques. 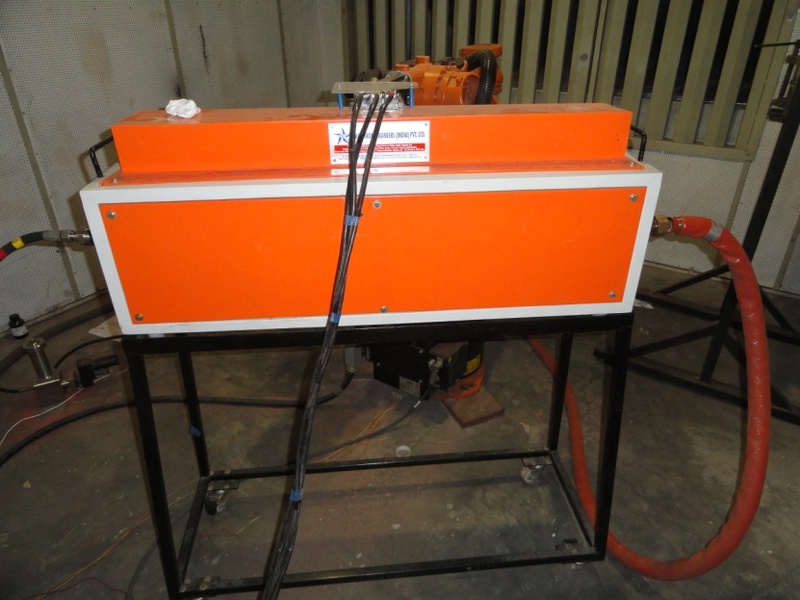 The purity of the powder is ensured since RFIP setup has no electrodes. The productivity is also reasonably high ~0.5-1 kg/hr, depending upon the feed rate. The precursor powder is fed into the plasma plume by argon carrier gas which melts and vaporises due to high plasma temperature. The quench gas passed from the bottom of the plasma plume nucleates the vapours into nano-sized spherical particles which are collected in a filter. 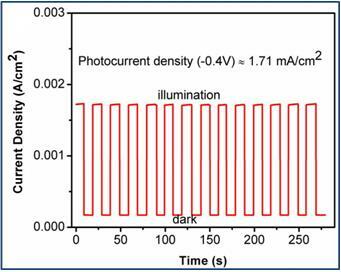 Photoelectrochemical electrodes exhibiting solar photon absorptivity and long sustainability (>1000hrs) are being developed to achieve 7% solar-to-hydrogen (STH) ratio. 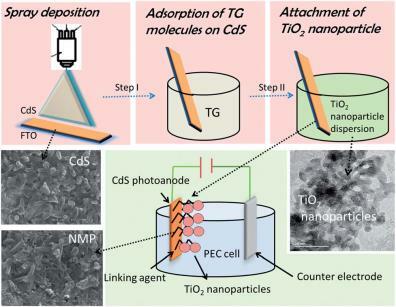 Nanostructure semiconductor/chalcogenide and composites (CdS, CdSe, Ga-In phosphide) are important systems used in photoelectrochemical cells (PEC). There is need to develop stable photoelectrode or improve the life of known systems (Fe2O3, II-VI metal chalcogenide as CdS, CdZnS). CdS/ CIGS/Si are efficient systems which need to be modified by nanostructuring for sustainable performance. This is best suited with nano-(Ti/Ni oxide) and nano-MoS2 based systems. 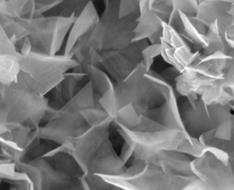 Two dimensional nanosheet-like structure in sulfides of transition metals (tungsten and molybdenum) have shown wide range of attractive properties, which can be harnessed for various applications such as catalyst or lubricant in petrochemical and automotive sectors, electrode material for Li-ion batteries and electrocatalyst for hydrogen evolution reaction (HER), etc. However, the absence of commercially viable routes for their synthesis in bulk quantity and reproducible quality has been a major issue hindering their commercial exploitation. Recently, a novel technique has been developed by ARCI to generate such 2D structure in WS2 and MoS2. The process offers unique control capabilities to synthesize tailor-made 2D nanolayered structure in these sulfides in bulk amount. 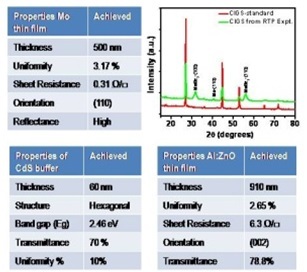 Based on the application and/or required properties, the size and thickness of these nanosheets can be altered by changing various process control parameters. J. Joardar and M.S. Sylvester, Indian Patent (Ap. No. 1703/DEL/2012). ZnO varistors is a polycrystalline ceramic over-voltage protection device whose primary function is to sense and regulate over voltage surge. The device is used in small electronics circuits to large transmission lines due to its high nonlinear current-voltage characteristics with large energy dissipation capabilities. 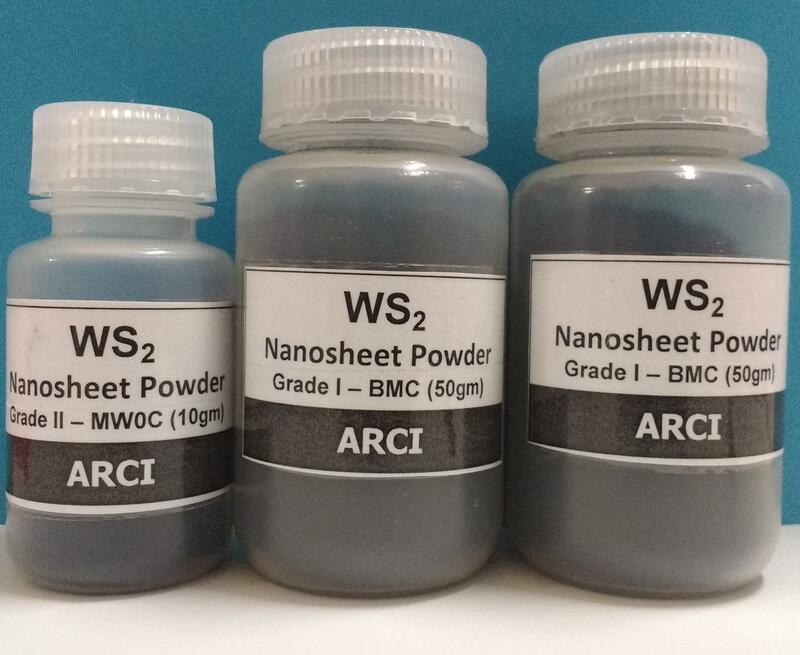 ARCI have developed high performance varistors from nanopowders using novel process and compositions. The process of making doped ZnO nanopowder is very simple (single step) and cost effective. The synthesis parameters and compositions have been optimized for lightening arrestor application at pilot scale level. These nanopowders can be sintered at much lower temperatures with lesser time compared to commercial micron-powders. Breakdown field of 21 kV/cm, low leakage current density of 0.7 µA/cm2 and coefficient of nonlinearity greater than commercial (90) have been obtained. An improved process for the preparation for doped ZnO nanopowder useful for the preparation of varistors, K. Hembram, T.N. Rao and R. Sundaresan, Indian Patent No. 254913. Improved composition and method of preparation of high performance ZnO varistors, K. Hembram, A.R. Kulkarni, R. S. Srinivasa and T.N.Rao, Indian Patent Application No.# 2765/del/2015. K. Hembram, T.N.Rao, R.S. 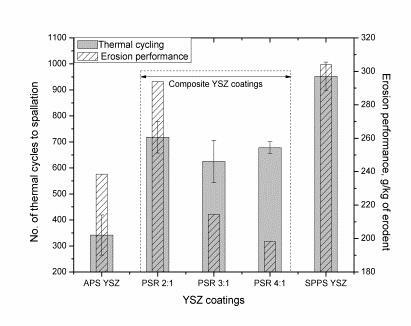 Srinivasa and A. R. Kulkarni, High performance varistor made from doped ZnO nanopowders by pilot-scale flame spray pyrolyser: sintering, microstructure and properties, Journal of the European Ceramic Society, 35 (2015), 3535-3544. Sintered Fe-Cu based cerametallic friction materials/pads for clutch and brakes of commercial heavy vehicles like trucks and tractors are presently being imported. These friction pads are riveted to steel back plates and fixed to the carrier plates before assembling in the clutch housing. 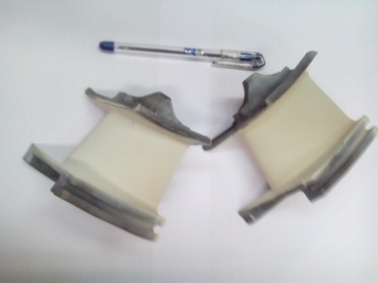 The life of the friction pad is limited to the depth of the rivet; limiting 100% utilisation of the friction material/pad and with usage, the failure is initiated along the rivet hole. Further, rigid bonding introduces a little discomfort arising out of judder while driving. The project involves innovative methods of replacing riveted clutch buttons with bonding of friction cookies directly onto the clutch plate, dispensing with the requirement of the additional steel back plate. 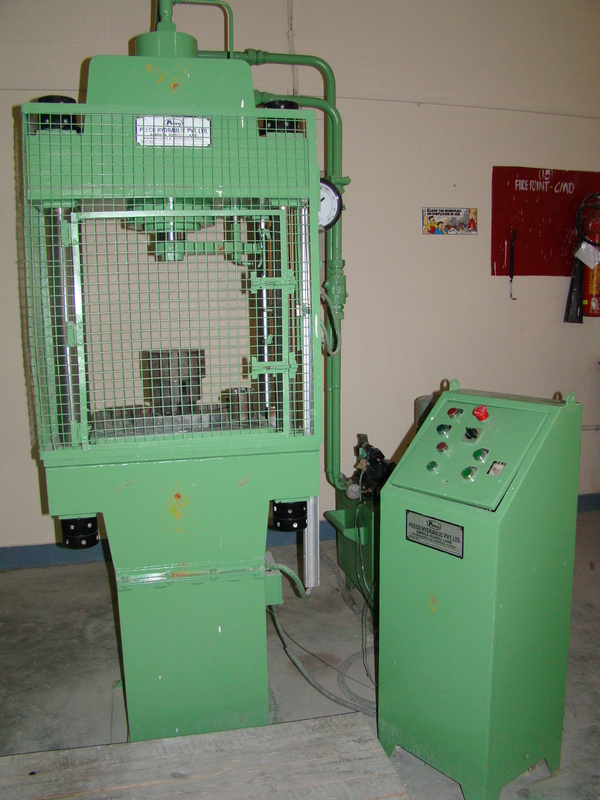 A patented technology with reduced number of processing steps with compositional change and indigenous equipment design has been developed to increase driving comfort along with increased life of clutch system. Oxide dispersion strengthened (ODS) Ferritic-Martensitic/Ferritic/Austenitic steels are endowed with high temperature strength and resistance to creep, fatigue, oxidation and hot corrosion. Hence, these steels are potential candidates for the components in nuclear reactors, gas and ultra super critical steam turbines which are exposed to temperatures up to about 700°C. 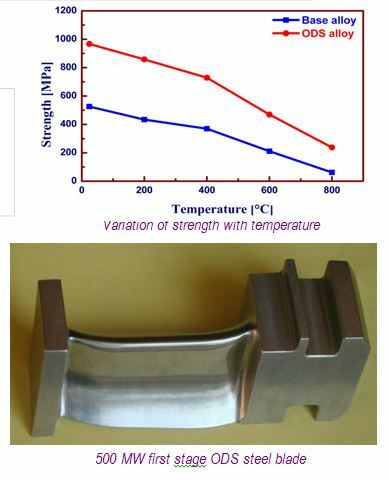 The high temperature properties of ODS steels are due to the fine grained microstructure, nanosized oxide (Y-Ti-O complex) dispersoids and stability of the microstructure at high temperatures. 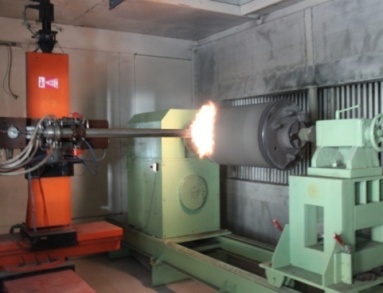 ARCI has embarked on major programmes for development and demonstration of technologies for the manufacture of blades for ultra super critical steam turbines, clad tubes of fast breeder reactor and high pressure compressor and low pressure turbine blades for gas turbines. M. Nagini, R. Vijay, M. Ramakrishna, A.V. Reddy and G. Sundararajan, “Effect of duration of milling on microstructural and mechanical properties of ODS-9Cr steel”, Mater. Sci. Eng. A, 620 (2014) 490-499. M. Nagini, R. Vijay, Koteswararao V. Rajulapati, K. Bhanu Sankara Rao, M. Ramakrishna, A.V. Reddy and G. Sundararajan, “Effect of process parameters on microstructure and hardness of oxide dispersion strengthened 18Cr ferritic steel”, Metall Mater. Trans. A, 47 (2016) 4197-4209. K. Suresh, M. Nagini, R. Vijay, M. Ramakrishna, Ravi C. Gundakaram, A.V. Reddy and G. Sundararajan, Microstructural studies of oxide dispersion strengthened austenitic steels, Mater. Design, 110 (2016) 519-525. Solar collectors are very important devices for increasing energy efficiency in concentrated solar thermal power (CSP) such as stream generation for various industrial applications and power generation. High temperature stable solar absorber coating plays an important role in solar collectors particularly suitable for high temperature CSP application. For such application, coatings are required in large area and generation of solar receiver tubes by an economic way is one main objective to reduce the cost of power generation from solar energy. 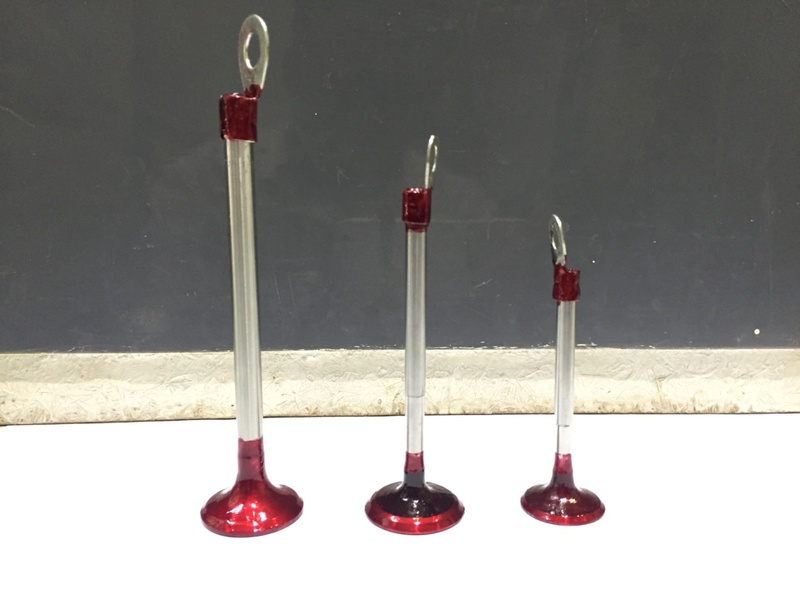 Among the refractory metals, tungsten possesses excellent combination of high temperature properties and high melting point (highest of all metals). Also it exhibits low sputtering yield under irradiation. Therefore, tungsten is the suitable candidate material for the plasma facing component (PFC). 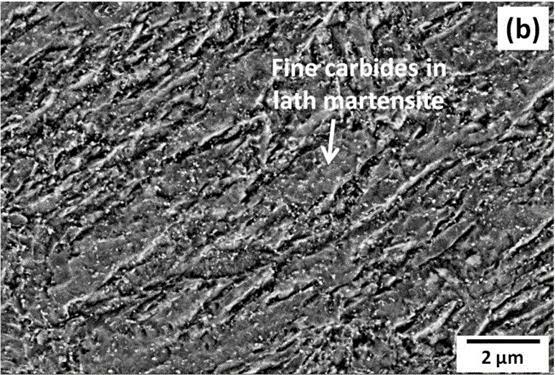 However, W suffers from high ductile–brittle transition and low recrystallization temperatures which limit the application of commercial W. These drawbacks are to some extent addressed by the incorporation of oxide or carbide particles having high thermodynamic stability in tungsten. 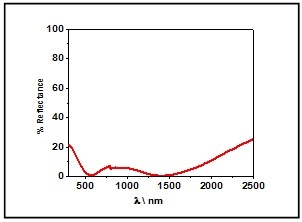 Among the W composites, lanthanum oxide dispersion strengthened tungsten (Wï€­La2O3) exhibits higher recrystallization temperature with only marginal decrease in thermal conductivity compared to pure W. ARCI has successfully developed this composite material with a relative density of 97.5% having a grain size of 10 ±2 µm. 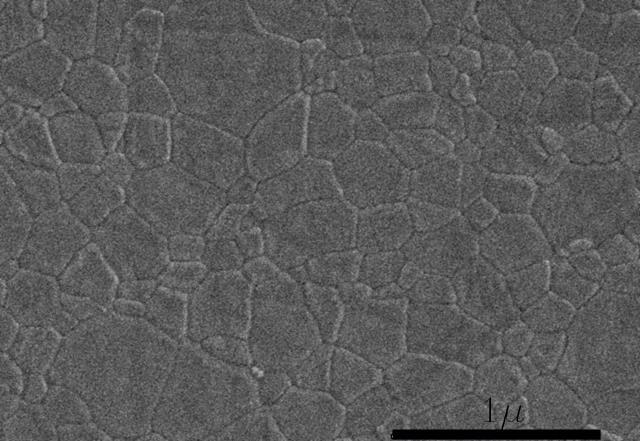 Grain size of tungsten 10 ±2 µm. Low cost and eco-friendly solar active photocatalytic material is highly desirable to generate hydrogen fuels. Nanostructured ferrite (Fe2O3, MFe2O4) and composite systems are potential candidates which can give high quantum yield for water splitting. Titanates (TiO2) lack the ability to absorb visible light photons. 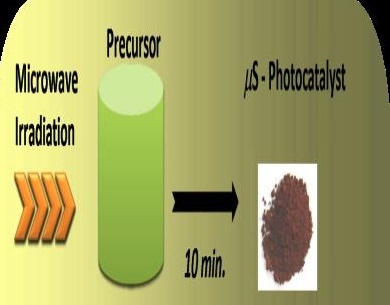 There is need to identify and develop such photocatalysts. Fe2O3 and II-VI metal chalcogenide (CdS, CdZnS) systems exhibit ability to absorb solar light photons as well as proper band energetics to split water molecule. They can be used in slurry type solar hydrogen generator. PEMFC technology has already been demonstrated in portable, stationary power, transport and several niche applications. For large scale commercialization technological advances are needed interms of cost reduction and manufacturing methods for producing some of the components. The major cost components are bipolar plates, catalyst and membrane. Bipolar plates facilitates the distribution of the reactants to the electrodes and presently constitutes about 50% of the cost ( for graphite plates ) and 75% of the weight and volume. 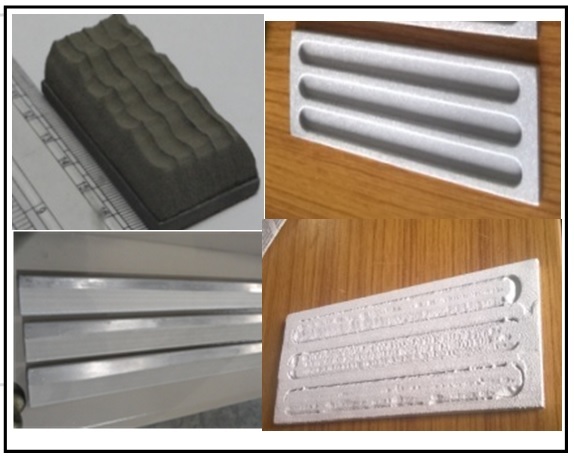 Alternative materials to graphite and its composites are SS based metallic flow field plates which is likely to reduce the weight and volume by more than 50% as they can be made thinner unlike the graphite / carbon composite plates. The major challenge in developing the metal flow field plate lies in forming a complex flow field design on both sides of the plate for the supply of reactants and bond them together for proper sealing in case of multiple cells. An earlier study by ARCI led to the development of bipolar plates based on exfoliated graphite which reduced the machining cost of making bipolar plates. 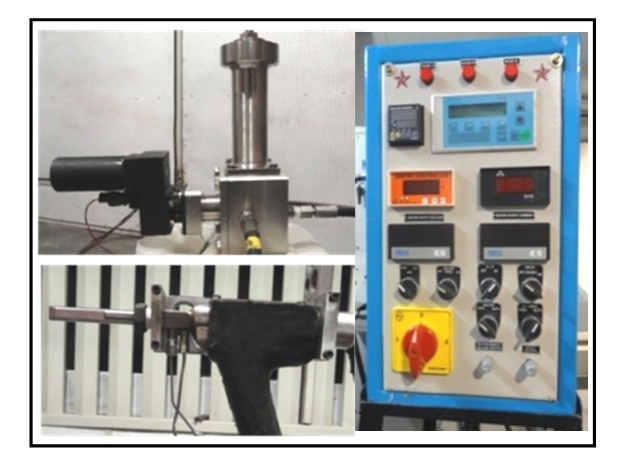 Development of suitable seals for optimum contact and prevent leakage of reactant gases. Development fuel cells and performance optimization at single cell and stack level. Corrosion studies on various coated and bare metallic plates being studied. SS based bipolar plates stack was developed using conventional technology for development of seals. Sodium beta alumina has been late seen as one of the highly potential candidates for battery and other electrolyte based applications due to firstly its high levels of sodium ion conductivity and secondly for the availability and the low price of the raw materials required to prepare the desired composition. Easier to make at the lab level to demonstrate the technical features but its physical and chemical properties like sensitive to humidity, water, high sintering temperatures, sodium evapouration, low densities achieved, limited shelf life and limitations in scaling up of powder production etc., have made it difficult to get absorbed by the industry for real device applications. 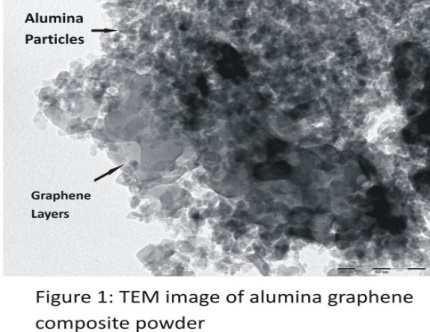 ARCI has taken up two projects to develop sintered shapes of Sodium bet alumina for two entirely different applications where the prime feature exploited would be its ionic conductivity. Production of kilograms of the powder reproducibly and maintaining its phase purity by inert storing has been established. 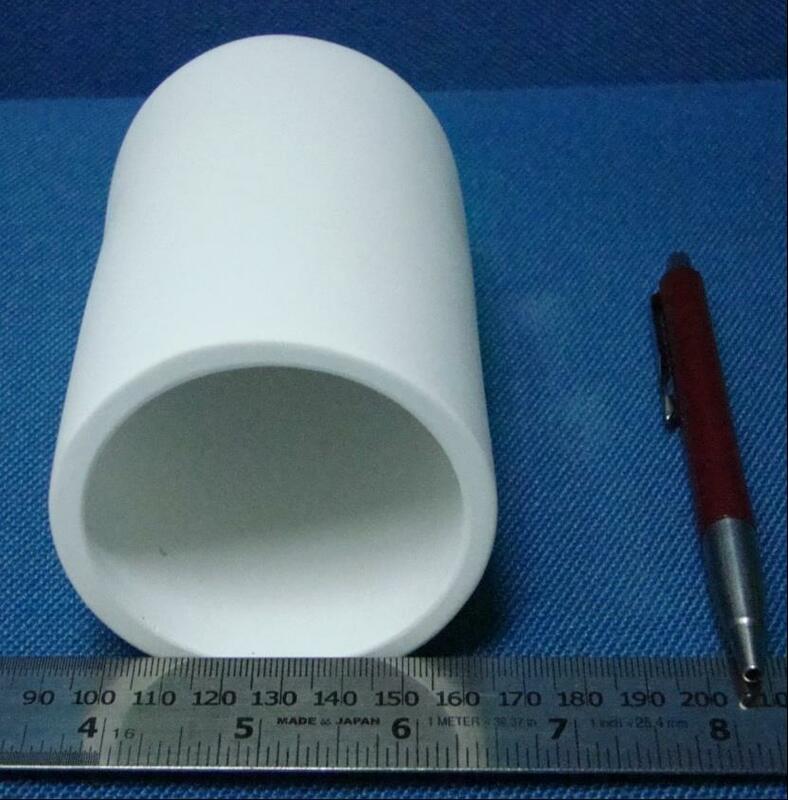 Fabrication and successful firing overcoming the issue of sodium evaporation to obtain tube and container shapes is achieved. Field trails and number production is due and in progress. Over the last one decade the competing technologies of vacuum electronics devices and solid state devices have synergized to give rise to the new area of vacuum microelectronic devices. These devices exploit the motion of electronics in vacuum to get the advantages of vacuum electronics and micro fabrication technology. The basic elements of vacuum microelectronic devices are cold emission source. The present day solid state devices limited in their capabilities and the vacuum microelectronic devices appear to be promising. Extending the frequency of TWTs to millimeter range requires high current densities. 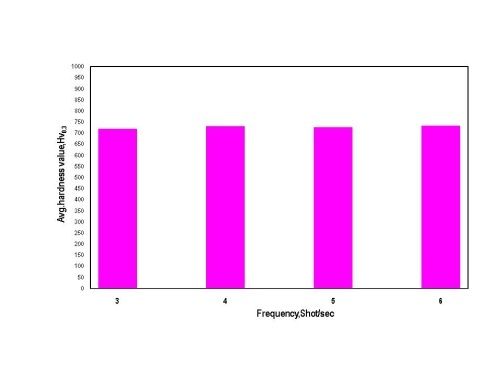 Because the required beam current density is proportional to the square of operating frequency, the use of field-emission cathodes is an alternative method for delivering a high current density and direct modulation of the emitted beam is possible in FEAs.It can improve the efficiency and reduce the size of the microwave source. As they exploit the best of the both worlds of vacuum electronics and solid state fabrication technology. 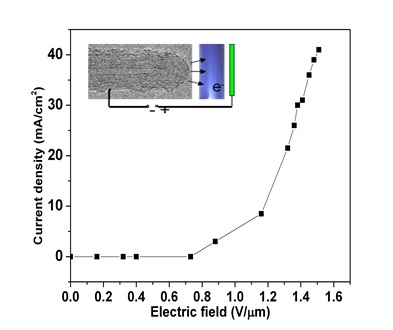 Carbon Nanotubes field emitter arrays are preferred for use in vacuum microelectronic devices. High temperature and chemical stability. Influence of N doping concentration on morphology & microstructure of N-doped super aligned CNTs arrays J. Advanced Microscopy Research, 8, 300-304, 2013. SPPS is an exciting method to produce a wide variety of functional oxide ceramic coatings, starting with appropriate solution precursors in contrast to powder feedstock in case of conventional plasma spraying. 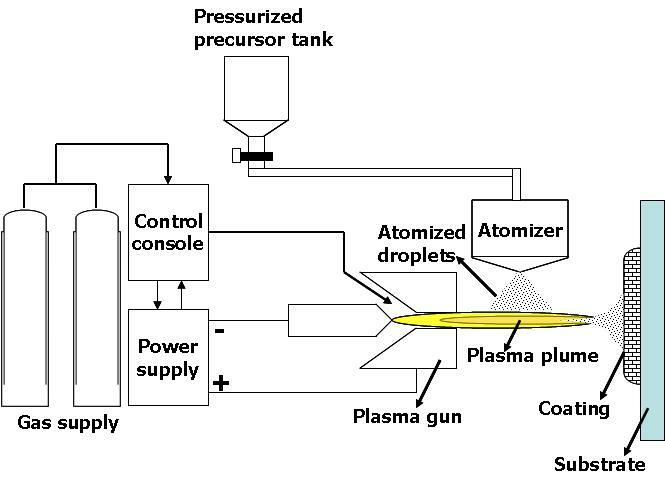 The technique utilizes aqueous/organic chemical precursor solutions fed into the high temperature plasma plume through a dedicated delivery device. The solvent vaporizes as the droplet travel downstream to form solid particles, and are heated & accelerated to the substrate to form finely structured coating deposits. Enhancing service life by surface treatment and recovering component after post damage could have significant economic benefits. Die tool costs 10% of cast part. Repair and refurbishment are increasingly common practices, seeking to maximize unit lifetime, availability and profitability. 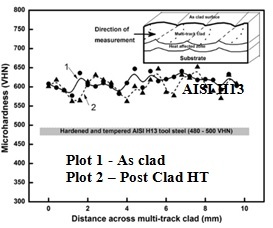 During hot forming of aluminum alloys, dies made up of hot work tool steels get exposed to severe operating conditions that cause significant thermal and mechanical fatigue, high pressure and high hot erosion from flowing molten alloy and result into surface damages like heat checks, erosion and chemical attack in prime locations, limiting or diminishing the service life of the tools. 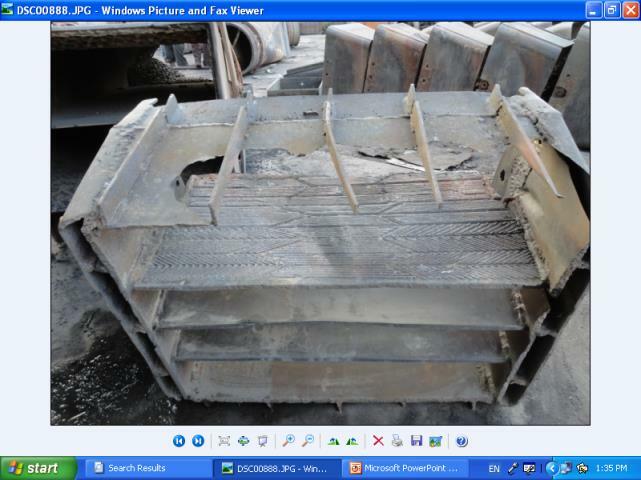 Laser cladding has been successfully used to repair the damaged dies and put to re-use. Every year with new events of oil spills has increased the need of finding a solution for this worldwide issue. This causes excess amounts of loss of oil, aquatic habitats, loss of gallons of water, and economic resources too. With daily achievement of new materials for oil remediation dispersants, absorbents, solidifiers, booms and skimmers in the market, exfoliated graphite has been found to be the best oil absorbent in oil spill absorption and recovery. This kind of materials shows porosity and ability to absorb oil in the presence of water selectively. 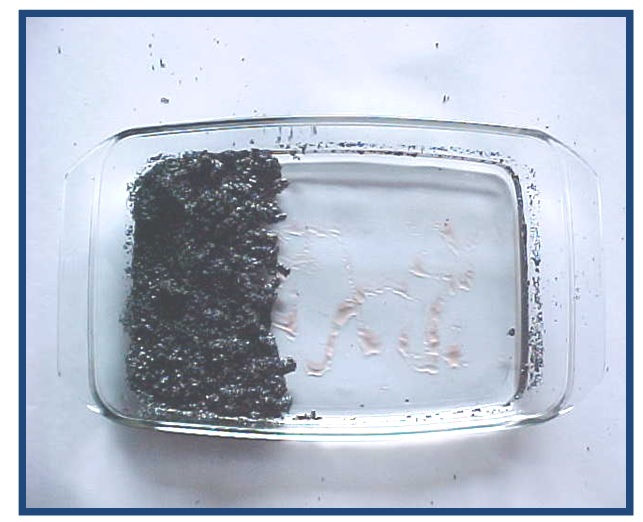 Heavy oils sorption into the exfoliated graphite could be recovered either by a simple compression or suction filtration with a recovery ratio of 60–80 %. The bulk density of exfoliated graphite (EG) and viscosity of oil are the major influencing factors on absorption kinetic characteristics. The EG with the bulk density of 10 kg/m3 has a little less sorption capacity (about 70 g/g). 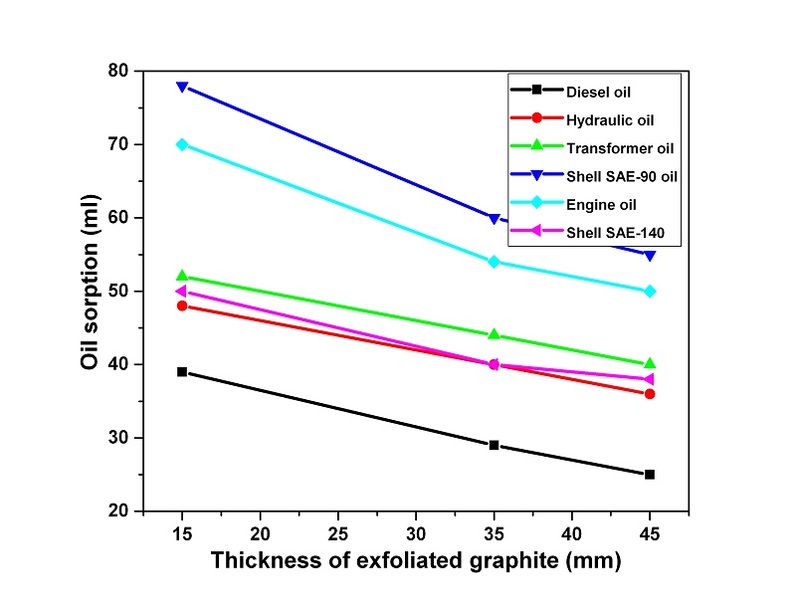 Various types of oils (Hydraulic, Engine, Diesel, Shell SAE 90, Shell SAE 140, and Transformer Oil) with different viscosity were tested in order to know the amount of sorption happening over exfoliated graphite. 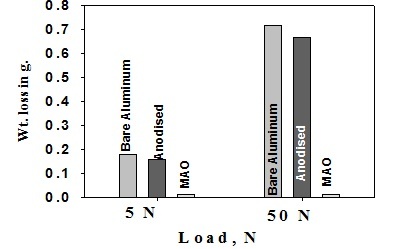 Dilution of base metal into clad ~ 8%. In power plants, degradation of various components like coal nozzle tips, boiler tubes, burner spreaders, etc, due to various modes of wear, erosion and corrosion, is a common problem leading to their replacement during maintenance schedules. Such tribological systems, working in high temperature aggressive environments, require suitable surface modification solutions for life enhancement. 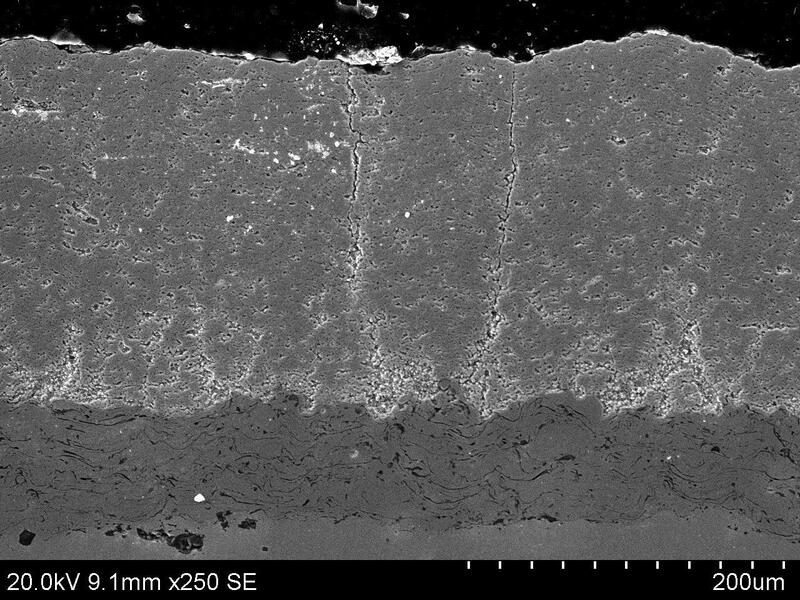 A high temperature erosion corrosion resistance coating was developed using laser cladding process. 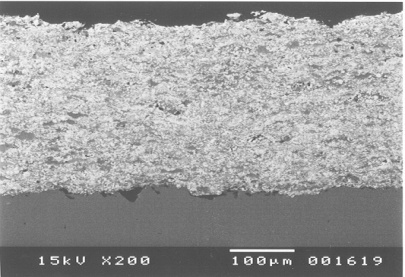 The metal matrix composite coating demonstrated excellent high temperature erosion resistance compared to conventional weld overlay process. 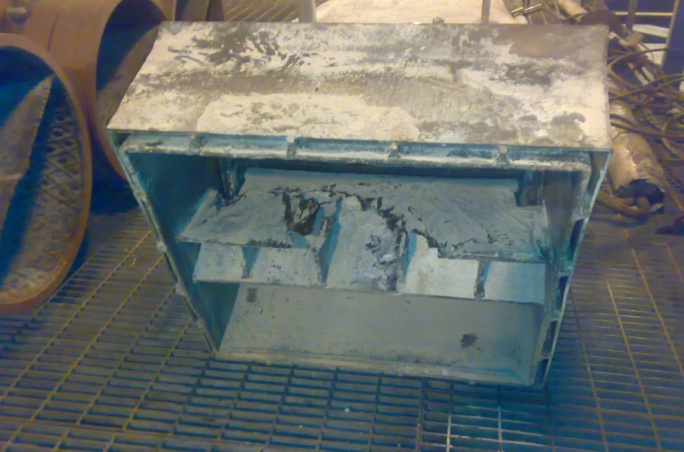 Field trial in an actual power plant showed negligible wear after 15 month of service. The coating can extend the service life of the boiler components to double compare to existing life. 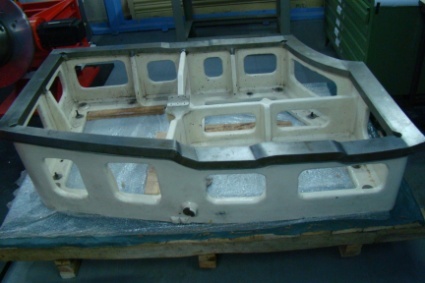 Hemming beds or forming dies are widely used in the automotive industry. 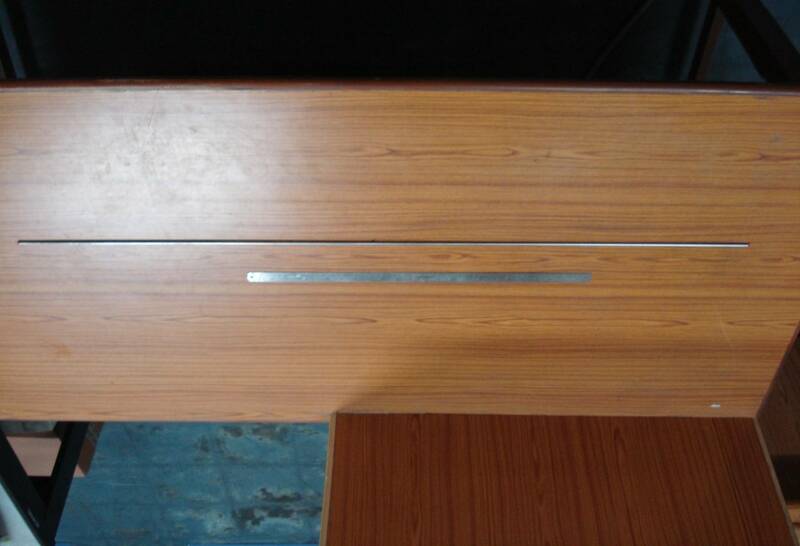 The edges which are used for forming are subjected to high wear and require hardening to improve the bed’s life. Laser hardening provide an excellent control on the energy input enabling hardening of cast iron without melting. The surface temperature regulation system available at ARCI provides added control while processing 3D contours as well negligible change in the surface finish can eliminate the requirement of any post hardening machining. Medium and low temperature solar collectors play an important role for increasing energy efficiency in concentrated solar thermal power (CSP) such as solar water heater, solar dryer, solar desalination and stream generation for various industrial applications. For such application, a large surface area of solar absorbers with high spectral selectivity is required to collect the energy at a useful rate. Moreover, generation of solar receiver tubes by an economic way is very important to reduce the cost of the solar thermal power generation system. Indian patent Application no. 2142/DEL/2015, date of filling: 15.07.2015. In general, Cathodic Arc PVD is a three step process: (i) Vaporization of required material from a source (cathode) by using an electric arc, (ii) Transport of vaporized material to the destination (target to be coated) and (iii) Condensation of transported vapours on to the targeted object to make a thin film. The major advantages of the CAPVD include; formation of highly dense and adherent coatings with a good deposition rate and thickness control (± 5 nm). 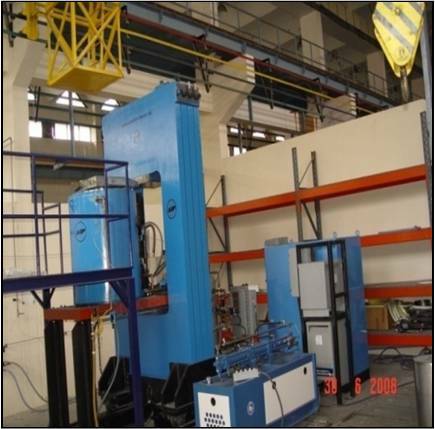 The semi industrial available facility at ARCI is associated with 400 mm length (Ð¤: 110 mm) cylindrical cathodes which enable reduced droplets formation than any other conventional CAPVD facilities. 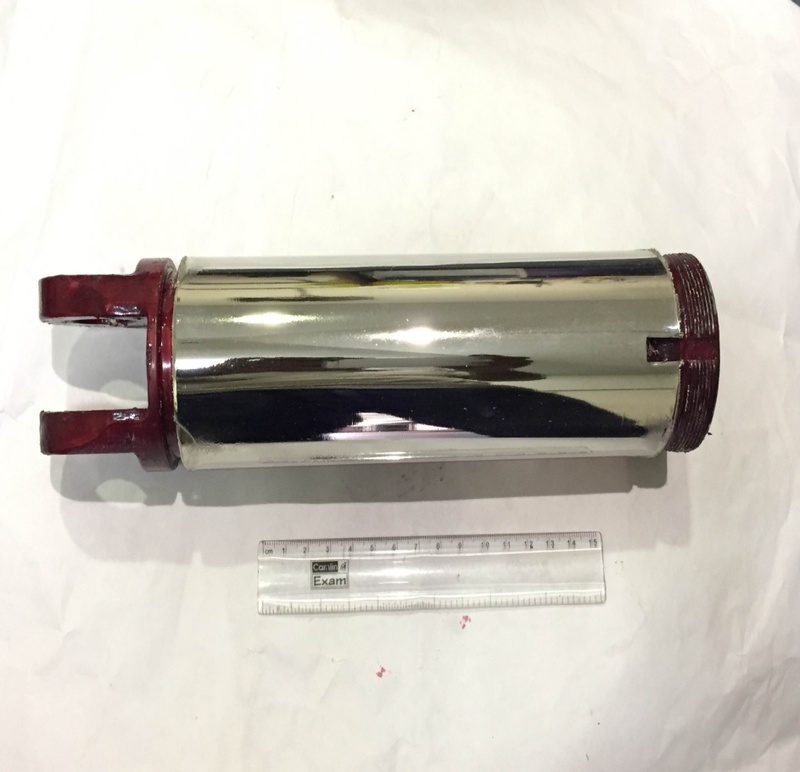 The maximum dimensions of the target to be coated can be: 350 mm L x 100 mm W (Ð¤). The CAPVD facility with its unique advantages can be used for developing thin films/ coatings in major sectors like; auto mobile, aerospace, manufacturing, optics, electronics, alternate energy, etc. Films/coatings containing Ti, Cr, AlSi & AlTi can be coated in pure metallic or nitride or carbide form. i.e. TiN, CrN, TiAlN, TiAlSiN, CrAlSiN, TiCrAlSiN, TiC, TiCN, TiAlCN, etc. 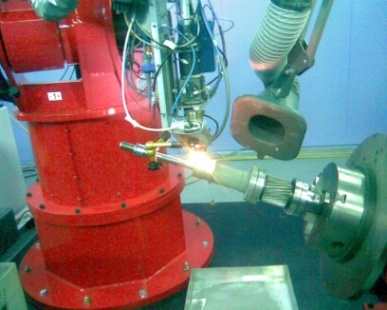 -	Machining of advanced materials: CGI, Ti6Al4V, Inconel 718, etc. Decorative coatings for aesthetic applications, etc. 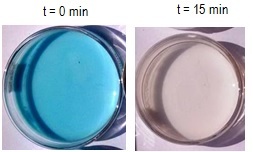 “An improved solar selective multi-layer coating and a method of depositing the same” Application No. 1567/DEL/2012, May 22nd 2012. 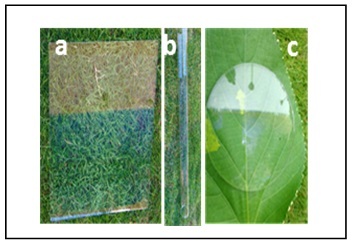 The development of broad-band anti-reflective coatings (BARCs) has attracted substantial research interest due to their high transmittance in a broad wavelength range (300–2500 nm) for diverse potential applications spanning photovoltaic systems, solar thermal collectors, optical and architectural glasses, windscreens, high power lasers, windows and video display panels. Due to their high refractive indices, optical elements like glass and polymeric transparent substrates suffer a reflection loss of about 8-9% in the visible spectrum of the solar radiation. 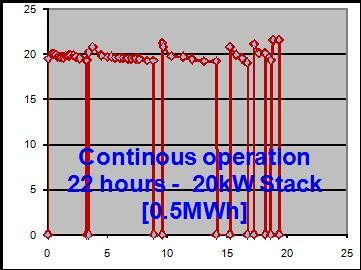 Such reflection losses are undesirable and detrimental to the overall light to electricity conversion efficiency. Hence, BARCs that transfer maximum incident light over a broad range of wavelengths can help to achieve competitive conversion efficiencies in solar cells or any other type of devices that require minimal reflection. Indian patent Application no. 4041/DEL/2014, date of filling: 31.12.14. High Performance and Environmentally Stable Broad Band Antireflective Coatings using Novel Ink-Bottle Mesoporous MgF2 Nanoparticles for Solar Applications, Solar Energy Materials & Solar Cells 159 (2017) 204–211. Cold gas dynamic spray (also called Cold Spray or Kinetic Spray) involves accelerating micron sized powder particles to supersonic velocities resulting in the formation of dense, thick and pure coatings with high deposiotion rates. Cold spray is a low temperature high velocity variant of thermal spray family. 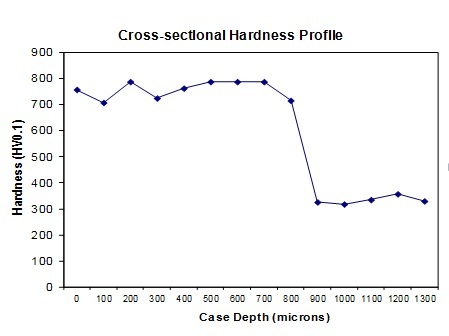 This technique has very high deposition rates and deposition efficiencies. Since there is no heating of powders, retention of powder properties in the coating is possible. 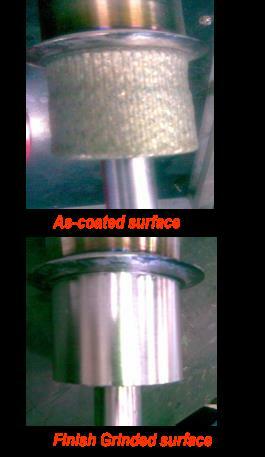 Dense coatings with porosity less than 0.1% can be achieved. Metallic, Alloy, Composites, Nanostructured and Amorphous powders can be deposited. This technology has huge potential for repair and refurbishment, electrical and thermal applications. 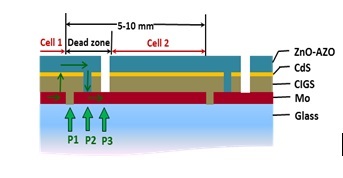 Pulsed Electrodeposition is a unique non-line-of-sight electrolytic deposition technique for obtaining wear and corrosion resistant nanocrystalline coatings using modulated currents. 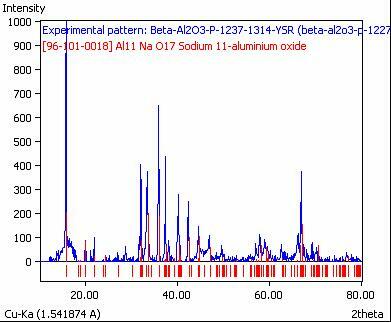 The process utilizes non hazardous electrolyte and pulsed current to achieve desired microstructure and mechanical properties in hardness gradient nanocrystalline Nickel, Sacrificial Zn, Nanocrystalline alloys of Ni-P, Ni-W, Ni-Mo, Fe-W coatings. The technology is explored for grain boundary engineering resulting in control over grain size from 200 nm to 3 nm. 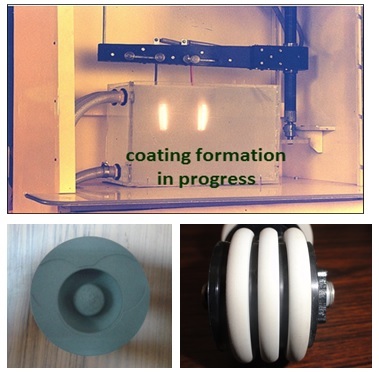 Recently a new method is invented to deposit nanocomposite coatings for hard chrome replacement with control over inert particle content in coating depending upon application requirement. The new nanocomposite demonstrated excellent wear and corrosion resistance in comparison with hard chrome and commercial NIKASIL coatings. The process is economical and effortlessly scalable to existing electroplating industry with low initial capital investment. Nitin P. Wasekar et al., Materials and Design, 112 (2016) pp. 140-150, Applied Surface Science, 364 (2016), pp. 264-272, Surface and Coatings Technology, 291 (2016) pp. 130-140, Materials Characterization, 116 (2016) pp. 1-7, Wear 342 (2015) pp. 340-348. 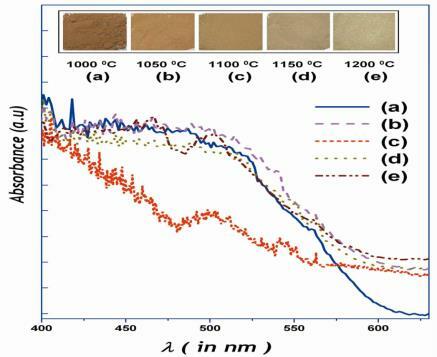 CIGS (CuIn1-xGaxSe2)based solar cells possess several commercial advantages over the conventional Si-based solar cells including, low production cost, minimum material requirement, better performance in low-light or diffused light conditions and possibility of making on flexible substrates. It is one of the most promising semiconductor materials for absorber layer in thin film solar cells with highest efficiency, due to its suitable band-gap and large optical absorption coefficient (≈ 105 cm-1). CIGS thin films have extensively been studied using several methods, however an economical and simple method like electrodeposition which can be scaled up to industrial level fabrication is preferable. Pulse electrodeposition is a versatile electrodeposition technique over conventional electrodeposition and is expected to improve the quality of the deposited CIGS film in terms of composition and morphology. CIGS/CdS junction performance is studied and validated by PEC. Sreekanth Mandati, Sarada B. V., Suhash R. Dey, Shrikant V. Joshi, CuIn1-xGaxSe2 thin-film absorber layers for solar photovoltaics fabricated by two-stage pulsed current electrodeposition, Materials Letters 118, 158 (2014). Hybrid processing involves depositing layered or composite coating architecture using sequential or simultaneous feeding of powder and liquid feedstock, respectively. Independently controlled micron sized powder feedstock and liquid precursor solution are fed into the plasma spray plume to form the desired coatings. The concept is extremely convenient to adopt, as it involves only a minor modification in the injection arrangement in any existing thermal spray facility. Graded coatings by simultaneous feeding of liquid and powder feedstock, while continuously varying the feed rates of one or both feedstock. In each of the above cases, use of a liquid feedstock leads to splats that are nearly two orders of magnitude smaller than the splats from conventional thermal spray. 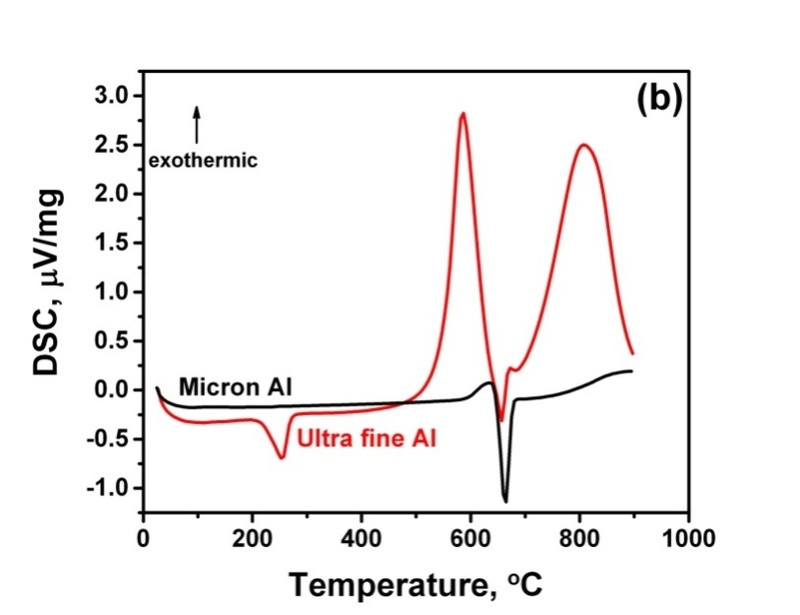 Thus, a very unique combination of fine-coarse microstructure, not typically realizable using conventional thermal spray routes, is possible. 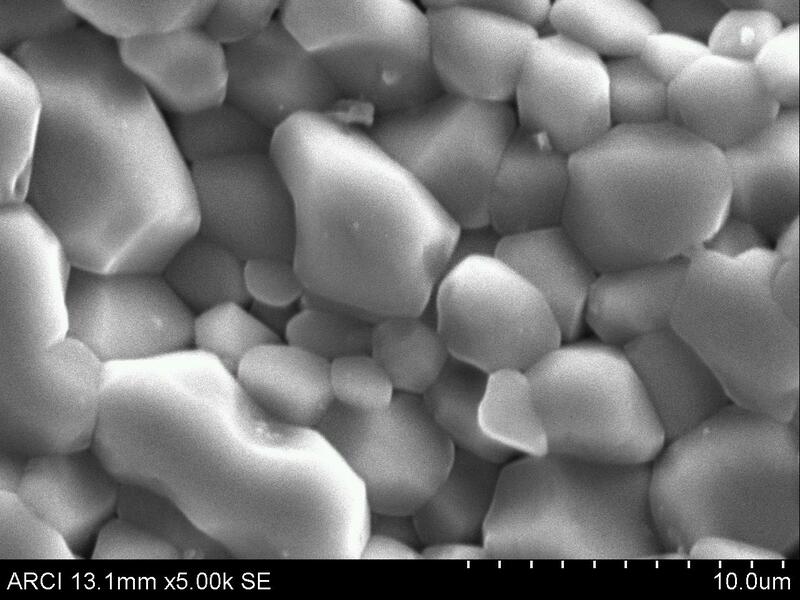 Micro Arc Oxidation (MAO) also known as Plasma Electrolytic Oxidation (PEO) is a novel and environmental friendly way of creating dense, ultra-hard (peak hardness up to 1800 HV) ceramic composite coatings for enhancing the wear, corrosion, electrical and thermal protection of Al alloys. MAO is an electro-chemical and electro-thermal oxidation in an alkaline electrolyte and the surface oxidation is driven by the supply of high voltage (up to 600 V) pulsed AC power. MAO coatings deposited on a large variety Al alloys such as 3-times harder, 15 times wear resistant and 10 times corrosion resistant than the hard anodized layers. Further, MAO technology can treat the difficult to anodize class of alloys such as Al-Si cast products. Through rigorous R&D activities pursued over last 2 decades, ARCI has mastered over the MAO process including the equipment design, building, testing, supply, installation and commissioning of academic scale, lab scale and industry scale systems with custom built capacities and capabilities. Although the MAO process is discrete, continuous coating deposition technology developed on the basic platform of MAO coating formation is useful for providing an insulating coating on foils and wires of kilometre long is useful for electrical and electronics application. Prototype models of academic and industry scale systems were already fabricated, tested and demonstrated on a variety of applications, installed at customer locations. Application development for various industry segments is currently in progress to promote more technology transfers to the Indian industries and universities. Indian Patent Applications: (a) 209817, (b) 1828/DEL/2008/01082008, (c) 1839/DEL/2015, US Patent Applications: (d) 6,893,551, (e) 8,486,237, (f) 9,365,945 UK Patent Application: (g) GB2464378, Japan Patent No: (h) 5442386, German Patent No: (i) 10 2009 044 256, French Patent Application: (j) 0957102, Brazil Patent No: (k) Pl0904232-6 A2 and South Africa Patent No: (l) ZA200906786. L. Rama Krishna et. al., Surface and Coatings Technology, vol. 163-164, 2003, pp. 484-490, Wear, vol. 261, 2006, pp. 1095-1101, Surface and Coatings Technology, vol. 167, 2003, pp. 269-277. L. Rama Krishna et. al., Metallurgical and Materials Transactions A, vol. 38, 2007, pp. 370-378, Surface and Coatings Technology, vol. 269, 2015, pp. 54-63, Journal of Alloys and Compounds, vol. 578, 2013, pp. 355-361. With an overall objective of enhancing the efficiency, productivity and reliability by increasing the detonation frequency (more than 3Hz) of the existing DSC system, design of various critical parts and its integration with the existing system has been initiated. Accordingly, one DSC advanced system has already been fabricated and subjected to thorough testing with regard to functional aspects and resulting coating quality. 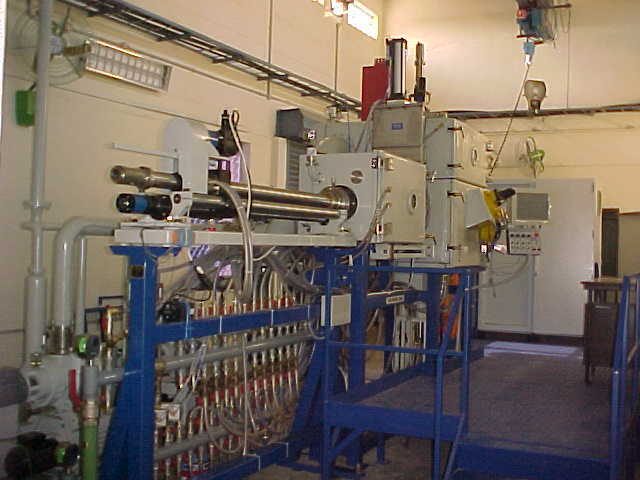 Towards design and development of such an advanced DSC system, major challenges such as modification of existing mixing chamber, elimination of numerous mechanically moving parts such as cam, gear, piston, roller, bearings, re-engineering of solenoid valves, flashback arresters, mass flow controller, PLC computer controlled system have been successfully accomplished. Subsequent to the integration of all newly designed and re-engineered parts with the main assembly system, numerous coatings were generated at higher detonation frequencies such as 6Hz, process parameters were optimized to achieve the bench mark coating quality. The new system with enhanced functional features and increased productivity and reliability will be transferred to the existing technology receivers and also to the other industries. Strategic applications like HP & LP turbine blades, compressor discs, LCA nozzles, thrust beating sleeves, propeller shaft seals. 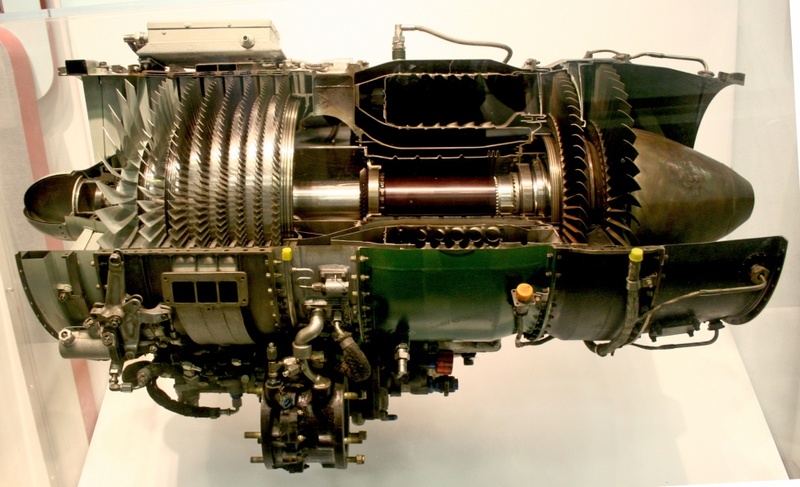 Power and Energy applications such as guide vanes, spindle valves, hydro turbine blades. D. Srinivasa Rao et al, Detonation Sprayed Coatings for Aerospace Applications, in “Aerospace Materials and Material Technologies”, Ed: N.E. Prasad, R.J.H. Wanhill, Pubs: Indian Institute of Metals Series, Springer Science + Business Media, Singapore, 2017, pp: 483-500, ISBN: 978-981-10-2143-5, Article DOI: 10.1007/978-981-10-2134-3_22. Due to reduced material and energy input thin-film provides still advantages compared to crystalline silicon-based PV technologies. In terms of cost per watt and efficiency of Cu(In,Ga)Se2 (CIGS) solar cell is considered to be the most promising thin-film PV technology. The efficiency evolution of CIGS during the last few years has been the most impressive within the thin-film materials, moreover comparable to multi-crystalline silicon cells and even more efficient than amorphous silicon (a-Si) and cadmium telluride (CdTe) while using a minimum of materials to produce. The current challenges include reducing the manufacturing cost and faster transfer of R&D results to industrial production. Due to the fact that the CIGS manufacturing process is more complex and less standardized than the processes for other types of cells, it is necessary to select appropriate process route and maintain the manufacturing as flexible as possible. 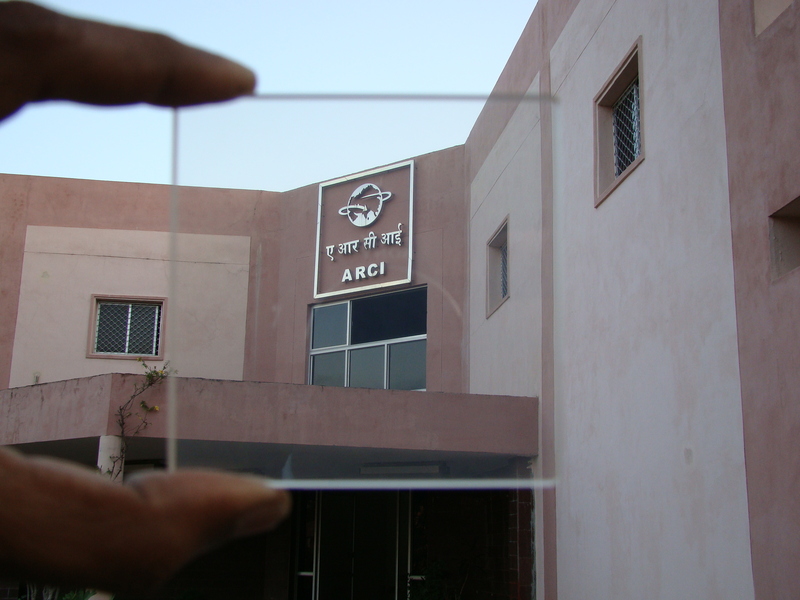 A monolithically integrated CIGS thin film solar cell on 300 mm x 300 mm being researched and developed at ARCI has promising features over the existing technologies. Device fabrication capacity on substrate size of 300 mm x 300 mm. Unique non-toxic two step process for selenization. 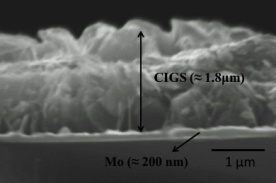 Tooled to make monolithically integrated CIGS thin film solar cells. Potential to make device on flexible substrates. Cold gas dynamic spray (also called Cold Spray or Kinetic Spray) involves accelerating micron sized powder particles to supersonic velocities resulting in the formation of dense, thick and pure coatings with high deposiotion rates. Cold spray is a low temperature high velocity variant of thermal spray family. This technique has very high deposition rates and deposition efficiencies. Since there is no heating of powders, retention of powder properties in the coating is possible. Dense coatings with porosity less than 0.1% can be achieved. Metallic, Alloy, Composites, Nanostructured and Amorphous powders can be deposited. This technology has huge potential for repair and refurbishment, electrical and thermal applications. 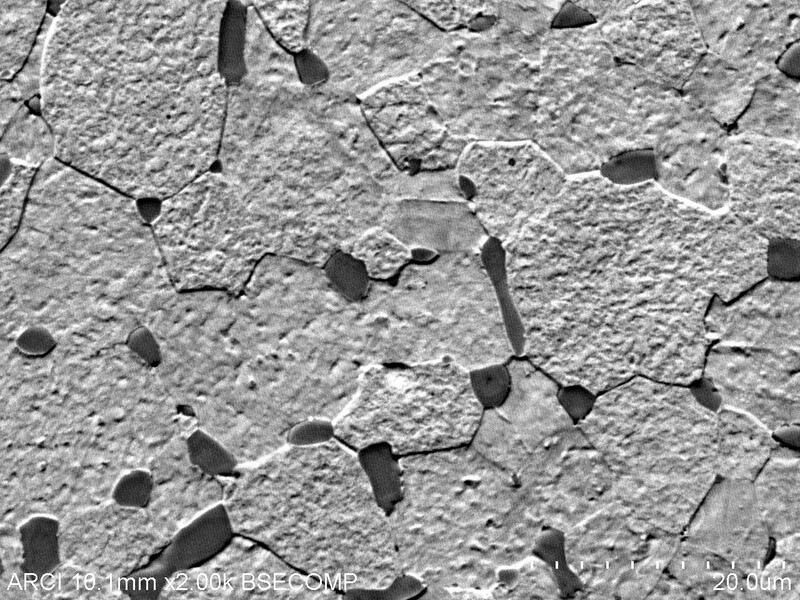 The uniqueness is to target dense coatings that need very high particle velocities to get deposited using cold spray and to deposit dense coatings of Refractory Metals, Molybdenum, Cobalt based materials, superalloys, metal-metal carbide composites without having to resort for a post treatment procedure. DSC is a thermal spray process capable of producing coatings with extremely good adhesive strength, and low porosity with compressive residual stresses. Metered proportion of the combustion mixture comprising of oxygen and acetylene (oxy-fuel: OF ratio) is fed through a tubular barrel closed at one end. 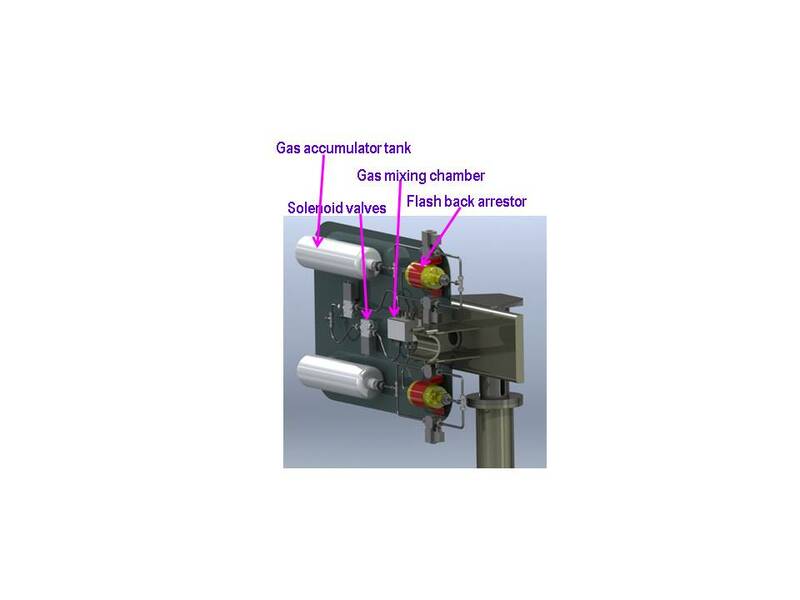 The gas mixture inside the chamber is ignited by a simple spark plug and the combustion generates high pressure shock waves (detonation wave), which then propagate through the gas stream. Simultaneous admission of the coating powder fed into the combustion chamber results in particle acceleration while the temperature of the hot gas stream can go up to 4000 deg C depending on the OF ratio employed. The hot gases generated in the detonation chamber while travelling down the barrel at a high velocity rapidly heats the particles to a plasticizing stage (skin melting) and also accelerate the particles to a velocity of 800-1200m/sec. These particles then come out of the barrel and impact the component surface to form the coating. The high kinetic energy of the semi-molten powder particles upon impact with the substrate result in formation of a very dense coating. 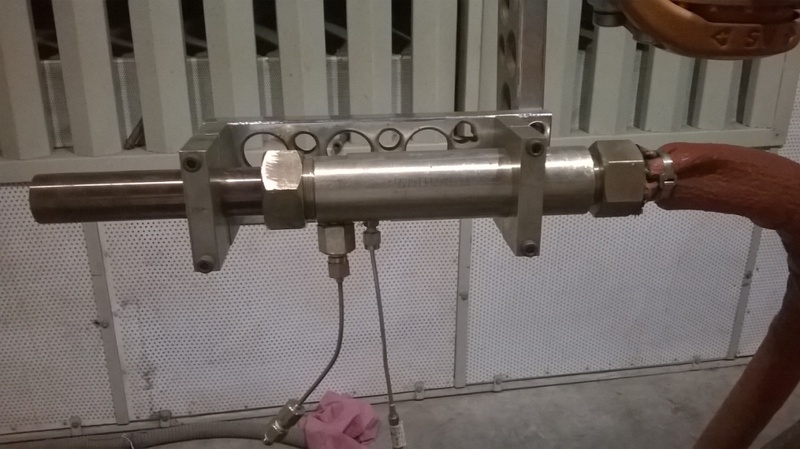 The chamber is finally flushed with nitrogen to clean the barrel for subsequent detonation cycle to obtain thicker coatings. Depending on the required coating thickness and the type of coating material, the detonation spraying cycle can be repeated at the rate of 3 shots per second. EBPVD technology is known to deposit the coatings with columnar microstructure which results in enhanced strain tolerance and erosion resistant at high temperatures. Owing to this specific technological feature, EBPVD coatings are popularly employed for depositing the ceramic coatings with extremely lower thermal conductivity. One of the best known configurations of such thermal barrier coating (TBC) is the top coat of yttria stabilized zirconia (YSZ) with a suitable bond coat on aero engine gas turbine blades and vanes. 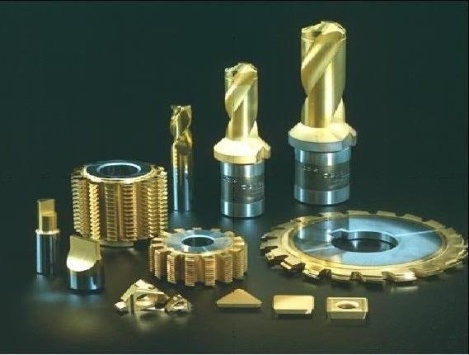 Further, EBPVD technology is also suitable for depositing a wide variety of metallic, alloy and composite materials which is also suitable for the bond coat applications such as MCrAlY (M = Ni or Co) on the super alloy substrates for enhanced functional performance. Such an EBPVD technological unit with specific features and special capabilities has been established at ARCI in collaboration with M/s International centre for Electron beam technologies, Kiev, Ukraine for readily serving the Indian industry. The EBPVD consisting of multiple EB guns which will melt and evaporate the ingot materials under specific vacuum conditions in a controlled chamber wherein the vaporised materials get subsequently deposited on the substrate materials. Specialized jigs and fixtures were designed and processing parameters were optimized to provide the TBC’s on a variety of components needing protection against the high temperatures. In addition, an innovative methodology has been created to benefit the Indian strategic sector and industry for refurbishing and repairing a variety of blades and vanes indigenously during engine’s periodic overhauls thus saving notable amount of foreign currency. Application development and technological demonstration activities on a large variety of blades and vanes for various industry partners in the helicopter and aero-engine is currently in progress at ARCI. 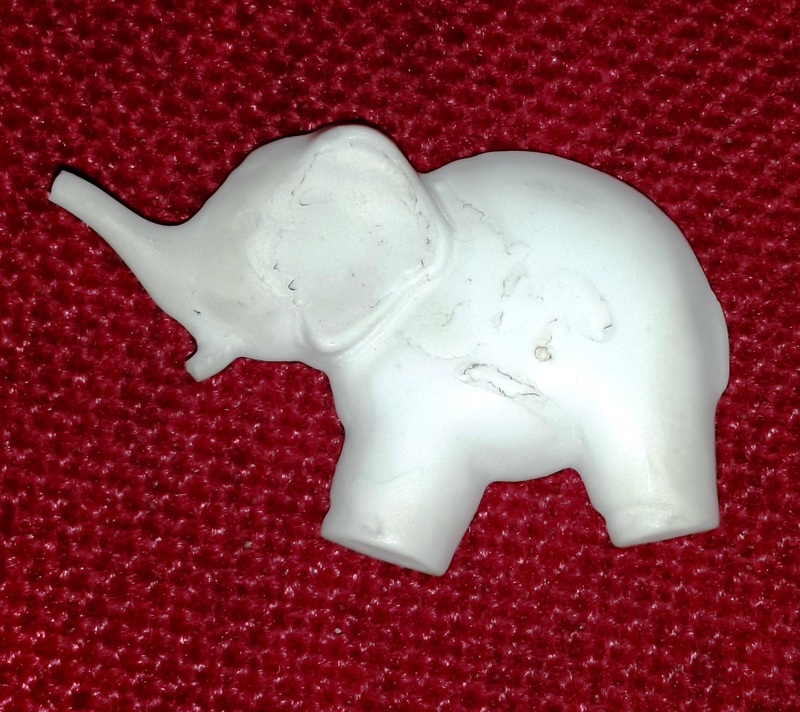 A novel titanium dioxide based material has been developed at ARCI for self cleaning application. The titania particles are micrometer in size but possess all the special properties due to nanostructure. This drastically minimizes any risk related to nanotoxicology and still provides all the benefits of nano size which makes it safe for processing, handling and use. 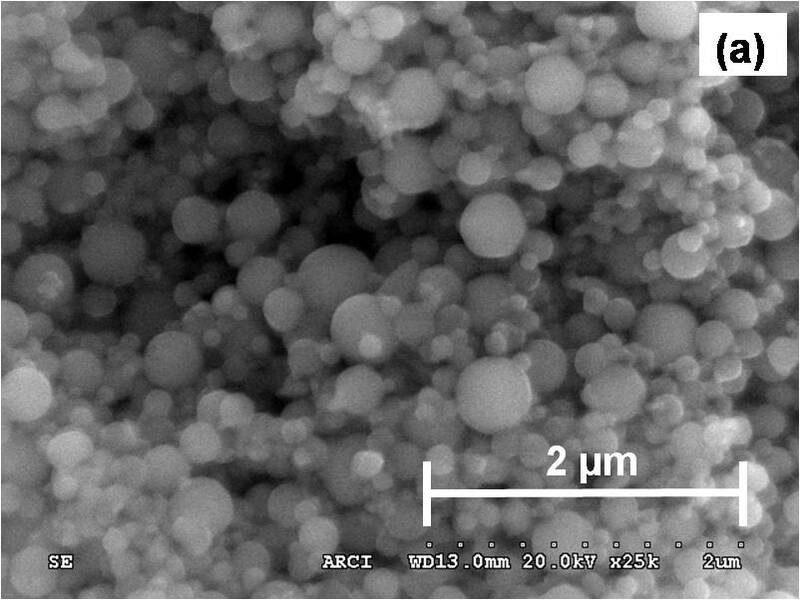 Micron sized titania spheres are prepared by self assembly of rutile phased titania nano rods as a major part and decorated with particles of anatase phased titania and silver or silver chloride on its surface. This structure and morphology gives rise to multifunctionality such as self cleaning, antimicrobial, UV protection and brightener. This product has been proved for its high efficiency in “Self Cleaning” property. This technology was transferred to one Indian Industry and successfully commercialized for textile applications. The same material can be extended to many other applications.